dig this http://hanovertwpbeaver.com/wp-content/wp-content.php If you read my post this weekend about Bitmojis, then you know I LOVE Bitmojis and am always looking for new and creative ways to use them in our school’s social media and other forms of communication. In my last post, I shared how they can be used as a way to engage parents and model our fun and student-centered culture. 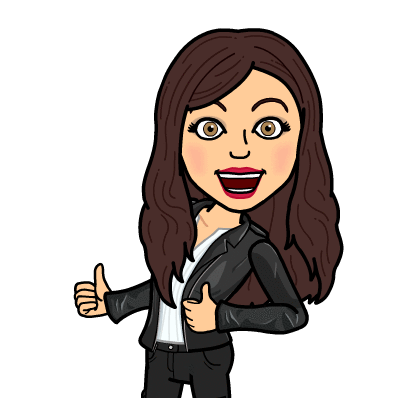 For this post, I am going to highlight our Instagram Takeover Tuesday program and how I found yet another way to incorporate the ever-sassy and mega-cool Bitmoji. businesses and schools were using Instagram Takeovers to show the “day in the life of”… and we knew right away that this idea would be an awesome addition to our school. We are always looking to up the fun-factor for our students and provide another visual communication for our parents. The Instagram Takeover Tuesday provided both. So what is an Instagram Takeover? Our Instagram Takeover Tuesday is when we (the school) hand over our Instagram account to one of our 6th grade students for the day. They roam the halls with the school iPad and capture all that happens in the day of the life of a student. When we started the takeovers, I was amazed at how creative the students were with their photos and comments. You quickly find out what interests them and what they enjoy about school. Interestingly enough, we saw a lot of posts focused on our school values, which we were so proud and touched to see. A 6th grader takes over our WoodburyIUSD Instagram account for the day. One of the most common questions we get when asked about how we run the program is, what about student privacy and the fact that they are too young to have an Instagram account? Good news is, we already thought about this prior to starting and have procedures in place. Sixth grade students get creative with their posts. We never post a student’s name or information about them. Their “username” and blurb on the Instagram Tuesday announcement frame are not an actual username and again, no specific information is given about the student. Parent permission is always received. We send an e-mail to the parent prior to their child’s takeover to receive permission. The iPad is set to Guided Access so students do not have access to unfiltered websites while using the iPad. In order to access Instagram, a teacher needs to log in to the filter, which also opens up other sites, not available to the students. Guided Access solves this issue. The Takeover Student is not allowed to take headshots of other students since they do not know the list of students that are not allowed to be published on social media. Because of this, students get really creative with their photography skills. We took Instagram Takeover Tuesday to the next level when the 6th graders went away to Outdoor Science Camp for the week. In the past, teachers would send some photos from camp to the school and the office admin would e-mail the photos to the 6th grade parents. We thought, how fun would it be for our 6th grade teachers to take over our Woodbury Instagram account while at camp!? In walks the Bitmoji. Our teachers love Bitmojis, almost as much as I do, so most of their Instagram frames sport their animated Bitmoji. The 6th grade teachers each take a day to take it over and show a “day in the life” of a 6th grader at camp. Oh wow, was this popular! The parents were coming into the office to thank us for the daily photos. Our Instagram and Facebook followers also skyrocketed from parents wanting to see the daily updates. It has become one of the most popular activities at school with parents of 5th and 4th graders also following the students throughout the week in order to get a glimpse of outdoor ed. If you are looking to get creative with your parent communication, promote your positive school culture, and model a positive digital footprint, then start Instagram Takeover Tuesday at your school. And while you’re at it, throw a Bitmoji in there. What would you highlight about your school through a takeover? What benefits do you see with initiating a weekly takeover? With parent permission, we post this Instagram Takeover Tuesday on our school’s Facebook page. Image Credit: Lisa Hu Chen (lisahuchen.com).